ATR provides spatial analyses to support most of its operations. We use cutting-edge slope and sustainability analyses to guide our field design and assessment projects, and visualizations to support client communications and public outreach. We use GIS and GPS technologies on our projects to track progress, plan, analyze and visualize natural and social processes. For complex projects about visitor activity, we combine approaches. 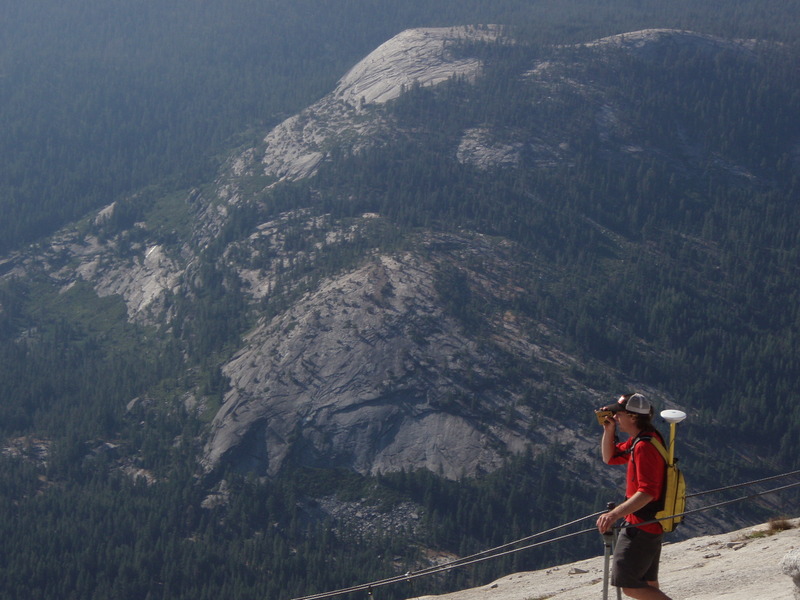 For geo-statistical and agent-based models, we couple trail monitors and counters with GPS visitor tracking. This helps us understand carrying capacity, visitor interactions, conflict, and benefits of mixed modal transportation and recreation in public lands settings. For feasability studies , we utilize digital assessments of landscapes for trail corridor or development feasability. This streamlined approach reduces filed time and ensures that good use of project funds. Using LiDAR-derived terrain data, we conduct sustainability analyses of existing infrastructure coupled with targeted field assessment to deliver timely and cost effective system-wide outputs.